Bauhaus movement combined with Ballerina kitchens. Ballerina has a lot of very bright and exciting colours that should be celebrated. To be able to show your colour. To change the mood and atmosphere in a kitchen. One of the inspirations is the Bauhaus movement, it was a revolutionary school of Art, Architecture, and design established by Walter Gropius at Weimar in Germany 1919. Gropius went on to teach at Graduate School of design at Harvard University. Mies van der Rohe became director of the College of Architecture. Bauhaus teaching method replaced the traditional pupil and teacher relationship, with the idea of a community of artists working together. This was to change the way Architects and Designers think. The motivation behind the creation of the Bauhaus lay in the 19thcentury, was to solve the problem with soullessness of manufacturing and its products, and in fears about art loss of purpose in society. Creativity and manufacturing were drifting apart and Bauhaus aimed to unite them once again. 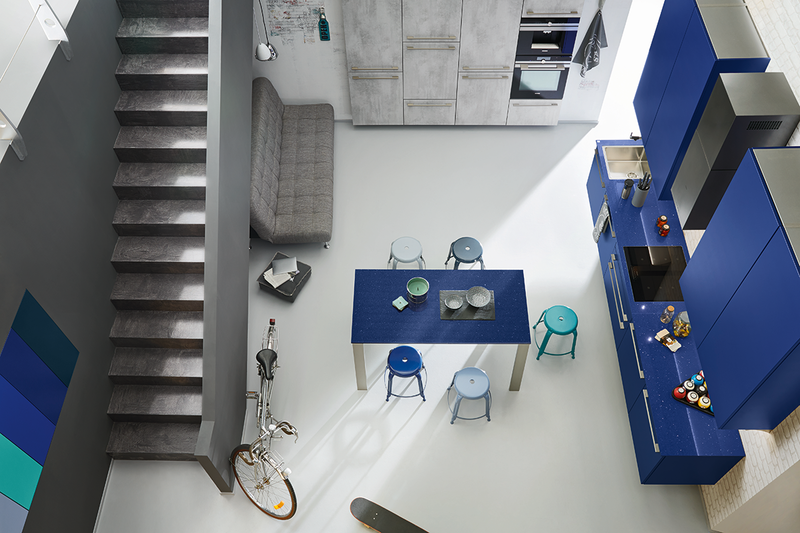 Design for everyday life to help people live better. An example of a well-designed kitchen is the OPAL 5699 in Roy. 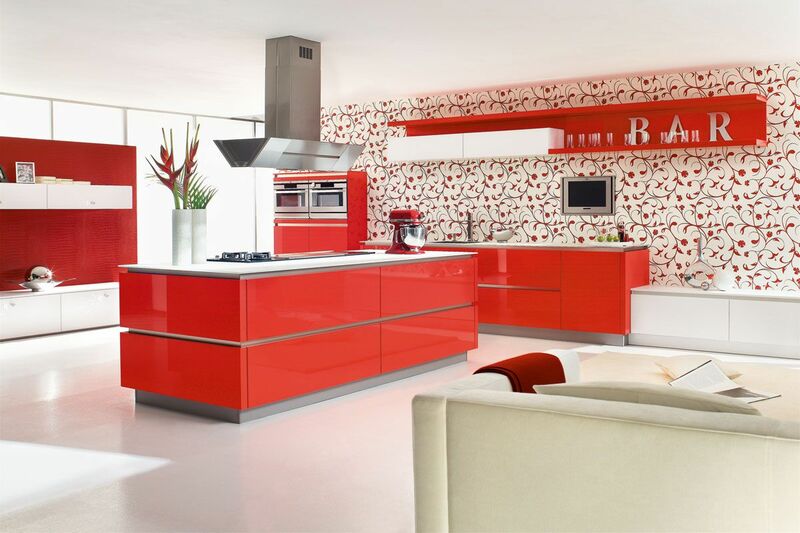 Royal red high-gloss lacquer. This design gives the idea of space by the horizontal short wall units. The grip ledge is highlighted on the kitchen island. ‘There is no essential difference between the artist and the craftsman.’ Walter Gropius. Designed for your family with the purest elements to complete the look. ‘In order to design it to function properly, one must first of all study its nature for it to serve its purpose perfectly, it must fulfill its function perfectly, it must fulfill its function in a practical way.’ Instead of sitting in the classrooms listening to lectures, these students were assigned to workshops. They learned on the job. By doing that the students can see the problems straight away and solve it. 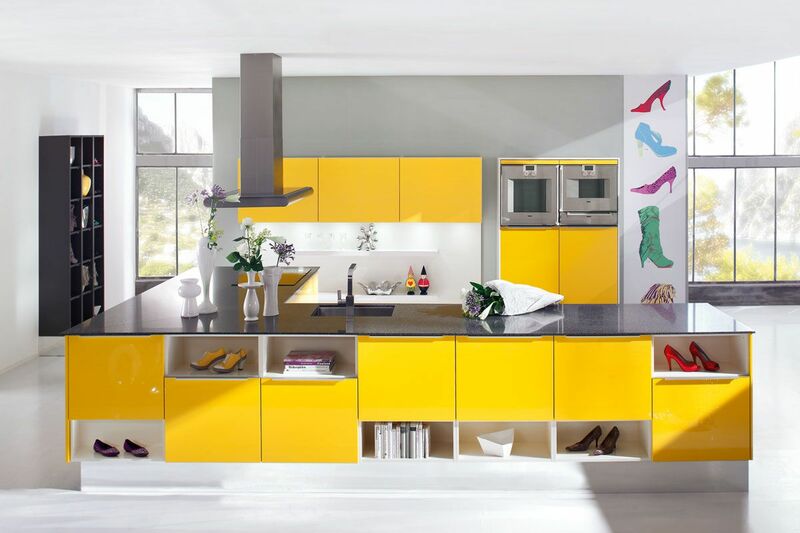 OPAL 5699 in Gelb, high-gloss lacquer 1032 broom yellow. Very bright and luxury. The look of floating units with the mirror plinths adds an extra touch. Not only function for storage but with design in mind. With time Ballerina has developed better understand by using the workshops to deliver the best quality products to customers. The Bauhaus produced an incredible array of artifacts, from anglepoise lamps to chess set, all distinguished by their functional and elegant construction. They were simple and useful, and their simplicity made them all so beautiful. In an era of ornamentation, their streamlined appearance was revolutionary. This was a new age of design. ARTE-B 3399 velvet lacquer with AntiBAK. Form follows function and every kitchen in Ballerina always follows these rules. Each element is stripped down to its bare essentials. Everything is fit for purpose.